In the luscious and exotic landscape of south Florida you'll find the country's largest protected subtropical wilderness, conserving a myriad of endangered and rare animal species found nowhere else on the planet. Alligators churning up the waters or gliding smoothly through the swamps, flamingos taking flight in bright pink formations, and airboat rides over the marshes are but a few things you can experience at the Everglades. So, whether your student group is on the road for an educational adventure or you're celebrating a graduation and just want to see some alligators, you've come to the right place. Though the area had been a national park since 1947, the Everglades only first received national attention in the 1970s, from conservation groups worried about human interaction and the endangered animals. Naturally, this drew the attention of UNESCO and other global projects that applaud and protect internationally important sites. The National Parks Service then enacted new conservation and restoration practices. Finally, it seemed that the Everglades was being championed and it would be saved at last. In the 1980s, the canals in the park were removed along the Kissimmee River although this has continued to be a point of political contention regarding the economic stability of South Florida. The restoration programs still continue, the largest ever undertaken, and yet there are some who still rally against conservation in favor of urban development. In any case, many people come to visit the Everglades to see the animals, right? So if you're wondering what kinds you might see here, look no further. There are at least thirty species living in the park boundaries that are currently considered either threatened or actively endangered. 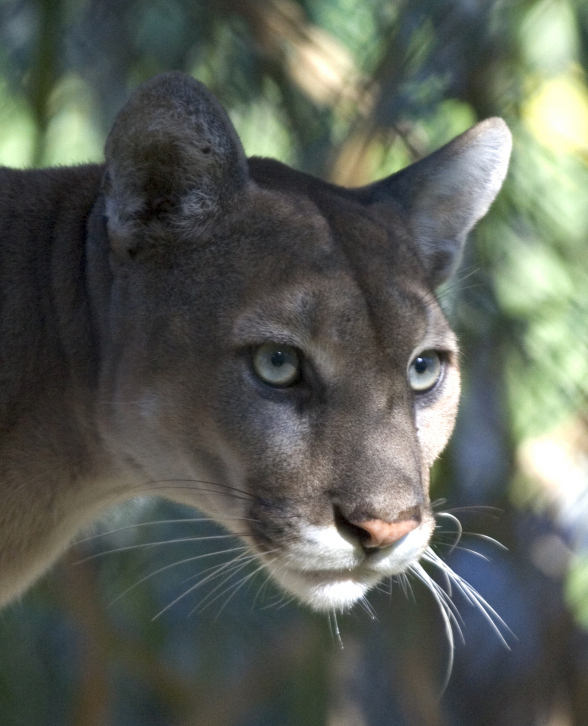 These include the elusive and mysterious Florida panther, the leatherback and loggerhead turtles, West Indian manatee, American alligators and American crocodiles, and many others. While at the Everglades, there's plenty of things to keep you busy. Walk the boardwalks through the interpretive trails, hike the designated areas (don't stray off the trails), kayak or canoe the water wilderness side of the park, or even camp out under the stars! Ranger-led tours and activities are highly popular and often afford the best wildlife viewing opportunities as the rangers know all the best spots. 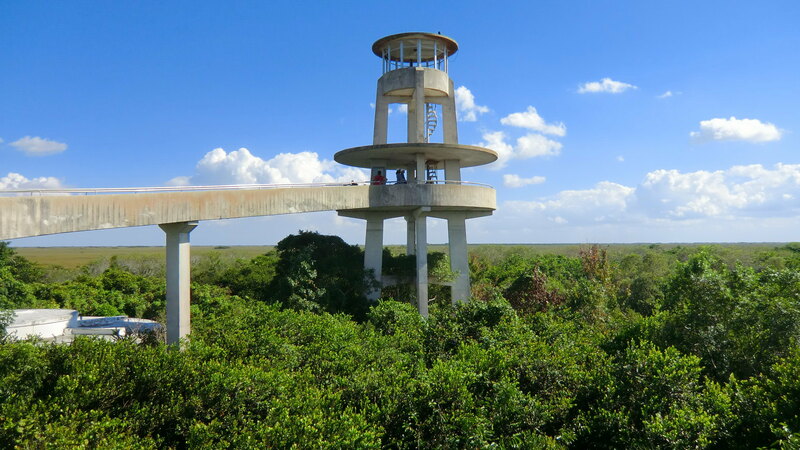 For instance, places like Shark Valley, at the Miami entrance, is in the heart of the Everglades and its observation tower grants 360 degree views of the surrounding area allowing you to see the alligators, turtles, and birds that often congregate nearby. Flamingo, likewise, is the gateway to the Florida Bay and opens up into a cornucopia of marine and bird wildlife. Here's where you might be able to catch a glimpse of the endangered West Indian manatee that slowly swims through the salty waters. Firstly, though you'll want to stop by the Visitors Centers and see the showcased exhibits and grab some maps and information to start you on your whirlwind journey of the Everglades. If, while you're here, you decide to take advantage of the ranger-led programs, here's a few things you should know. 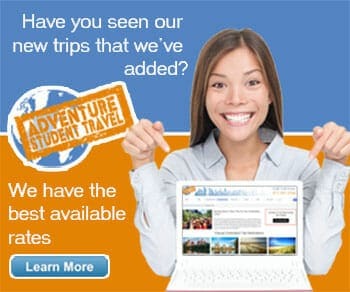 There are four major programs available year round, though they add more during the high visitor season. The rangers can take you off the "normal" trails and into the real wilderness of the Everglades, allowing you to experience the nature of south Florida even more fully than you could on your own. For instance, the Royal Palm programs take you on hike through slough, wading through rivers of grass and marsh, or even go on a hike to a Cold War missile site. Other adventures await for bird watchers, bike enthusiasts, and even those who don't want to walk much (there's a tram ride through Shark Valley available)! Truly, there's something for everyone in the Everglades. From an educational standpoint, it's an extremely significant stretch of land not only for conservation rights but also in terms of environmental stability. If you're looking at the Everglades as part of a field trip or educational adventure with a group of students, it's highly recommended that you take advantage of the ranger programs and interpretive information available at the Visitors Centers. If you're not here for education's sake, relax and have fun spotting alligators and flamingos in their natural habitat. What's cooler than that?